THE LITTLE DANDY : POPBASIC Review & Giveaway! A couple weeks ago I received a lovely package in the mail from POPBASIC! 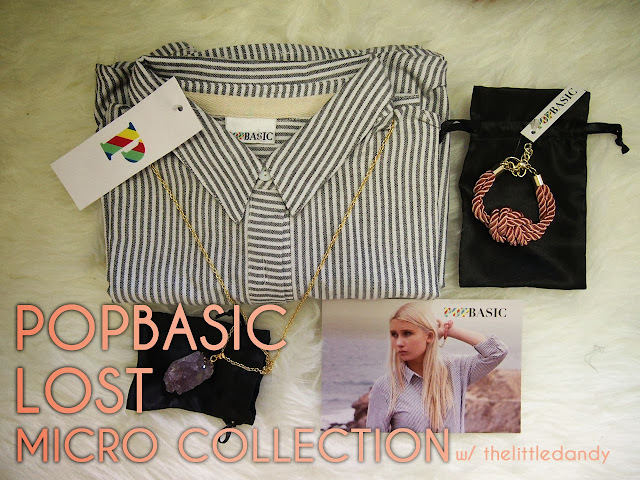 If you haven't heard of them, POPBASIC is an online shopping website that releases a new micro collection each month. The idea behind the brand is to, "Create your style one micro collection at a time,". I absolutely love the entire idea behind it; it is a completely new and unique way to approach online shopping for women. The internet is a cluttered and noisy place, and with so many affordable online shopping websites now, it's easy to fall into the trap of buying too-trendy and cheaply made garments that will not stand the true test of time. These pieces usually tend to fall apart or become out-dated before they see their next season. I know this from the wretched experience of combing through my own closet and tossing heaps of past trends from stores like Forever21 and H&M (now, envision a single tear slowly rolling down my cheek...). POPBASIC includes a hand-written note in each of their shipments; a very warm and personable touch. 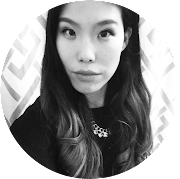 With POPBASIC, you are introduced to a new, and carefully curated, micro collection each month. Each micro collection consists of three pieces that are able to both add a 'pop' to your wardrobe, as well as stand the true test of time as a well-made basic. It's the perfect system for over-whelmed shoppers to be able to filter through the noise and invest in basics that can be worn over-and-over-again without looking dated. As the queen of keeping and wearing things forever, I'm a huge fan! I received POPBASIC's LOST micro collection: the Sofia Boyfriend Shirt, the Dreamer Amethyst Necklace, and the Pink Silk Cord Bracelet. Each piece feels well-made. The Sofia Boyfriend Shirt is made of a heavy fabric and well tailored. Unlike other button-ups that I own, I love how this one has a hint of femininity as it flares out the back a little bit due to its intricate stitching. As for the Dreamer Amethyst Necklace, I love how each piece is unique and no two are alike. Overall, I think POPBASIC is definitely on to something good -- no, GREAT! For a more detailed look at the peices, watch the three ways I styled them, and don't forget to enter my giveaway to win your own LOST micro collection from POPBASIC! Woohoo! I am loving all these pieces. So fresh and stylish! The pieces look super versatile too.